We’re passionate about the value that coaching and mentoring can bring to a firm. We strongly believe in the benefits of embedding a coaching and mentoring capability within a practice, so that your people can continue to grow, develop and contribute to overall business objectives. We believe that coaching/mentoring is a core mind-set and skill set for partners and leaders in professional practices. Through good quality coaching and mentoring of junior staff you increase their performance, bring in more fee earning business, make better decisions and take more responsibility. As your talents develop, this will release more of your time to grow the business and the strategic aspects of your role. We provide European Quality Award winning and internationally accredited coaching and mentoring training programmes for leaders and professionals to increase performance in the workplace, and would be happy to share examples of how this training has delivered tangible, positive results. We run all of these programmes as in-house courses, and also run a series of open courses across the UK. Read also about how we help organisations build a coaching culture. This 1-day course is designed for the modern professional leader to help them develop the performance of their trainees, junior or talented team members, particularly where it relates to developing professionals, be they advisers, consultants, accountants and lawyers. This 1-day coaching training programme is designed for partners and managers wishing to coach or mentor their staff or colleagues for improved performance and development. The programme can be customised to your firm’s culture, terminology and needs. These short workshops form part of wider coaching training, mentoring training and culture change programmes. They prepare the recipients of coaching and mentoring for the change in style of their manager, helping them appreciate their own role and the benefits of the approach. European Award winning qualification programme designed specifically for professionals. This 2-month highly targeted coaching and mentoring training programme is designed to be efficient, relevant and directly applicable to the professional’s work environment. The training courses are not designed to develop full-time professional coaches, but to inspire and enable professionals to use coaching to enhance their impact within their current role. Our certificate training programme is accredited by the European Mentoring and Coaching Council (EMCC), the leading professional body in Europe for coaching and mentoring. This European Quality Award winning 6-month programme is designed for professionals who wish to take their coaching and mentoring to the next level. The participants are likely to be using coaching quite extensively in their work and with clients. The Diploma programme is accredited at Practitioner level by the European Mentoring and Coaching Council (EMCC), the leading professional body in coaching and mentoring in Europe. We offer bespoke skills development programmes to suit your development goals and budget. This also includes developing and delivering coaching and mentoring skills training elements of wider leadership development programmes. We are running an increasing number of Continuing Professional Development (CPD) events for internal coaches and mentors for our corporate clients. For more information and our current list of CPD event follow the below link. "I have been on an enormous personal journey in terms of increasing my knowledge and honing my coaching skills. I have enjoyed every minute (even though some bits have felt painful). I am so pleased I chose Quiver Management to guide my journey, I’m not sure I would have made it to the end otherwise." "Great course to introduce the concepts and practices of coaching and mentoring in a way that makes it easy to take back to the office and put in practice as you start your journey." "I use the skills I’ve learned almost on a daily basis and if there are additional programmes and qualifications I’d be happy to use Quiver Management again and continue to recommend them to others." 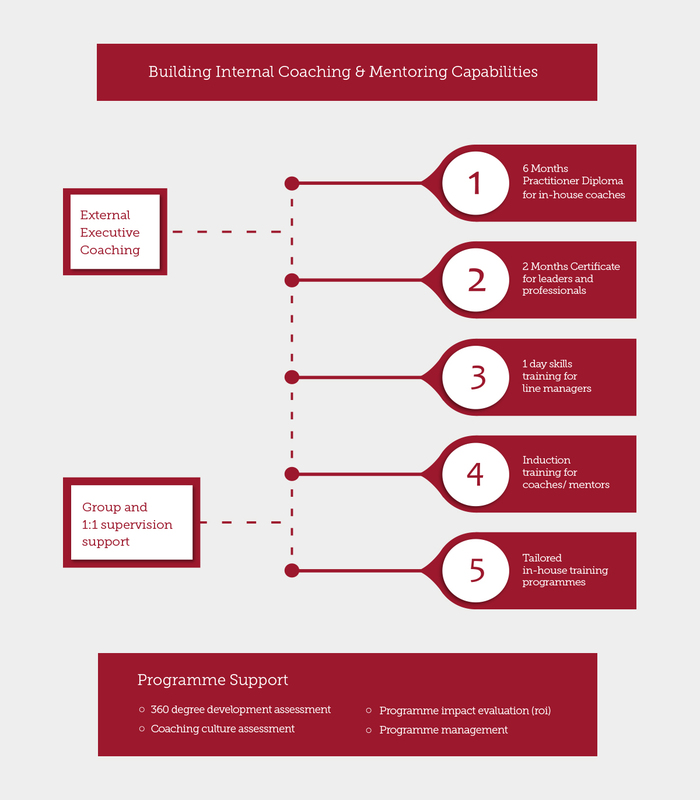 * The coaching and mentoring training programmes have been developed to fulfil the stringent international coaching and mentoring training standards of the European Mentoring and Coaching Council (EMCC), the leading professional body in Europe. Our Certificate and Diploma programmes hold the European Quality Awards as conferred by the EMCC. Leaders and professionals successfully completing one of these programmes will receive an internationally recognised coaching and mentoring qualification.